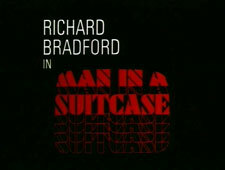 Man in a Suitcase: Mystery and Suspense on Television. Richard Bradford stars as "Mac" McGill (first name never revealed), an ex-spy with a murky past and an uncertain future. 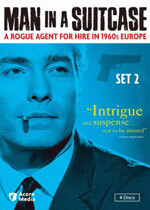 Wrongfully dismissed by his bosses in U.S. intelligence, he decides to freelance as a private detective based out of London. McGill's work takes him far and wide, yet seemingly always on a collision course with the British authorities, the Soviets, and his old colleagues in American espionage. Beset by enemies on all sides, he strives to clear his name and restore his reputation. But until he does, he remains on the run, taking jobs in the dark and dangerous corners of European society. 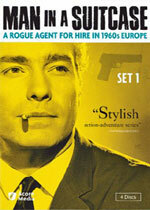 This action-packed Cold War drama aired on ABC for a single season from September 1967 through April 1968.